Recent graduate from Rogers State University with a Business Marketing Degree. Was also a part of the RSU men’s soccer team and was a Striker/ Midfielder throughout my collegiate career. Found CrossFit in December 2012, instantly thought it was the best way to stay in shape for college soccer. Have loved the way it has made me feel on and off the field. 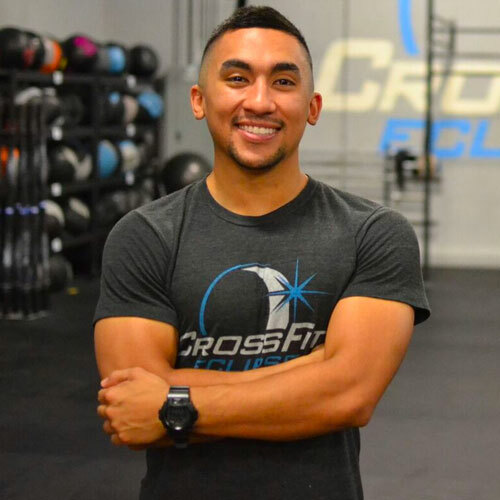 Fell in love with training and now want to impact people’s lives through the CrossFit training method. CrossFit is a big part of my life now, from the way I eat to the way I train, and I’m excited to do it for a long time.